This week I spent three evenings watching the third season of “Homeland”. Outside the weather was cooling down with a good rain for early October, but inside my brain was about to explode. For those who don’t know, “Homeland” is a story about a Marine sergeant, Nicholas Brody, who was held captive in Iraq, Iran, Syria, somewhere in the Middle East, for eight years. He was brainwashed, converted to Islam, and sent back to the U.S. as a “Manchurian Candidate.” CIA Officer, Carrie Mathieson, suspects Brody is a “Manchurian Candidate” sent back to the States by Abu Nazir, an infamous Arab terrorist to eventually assassinate the President of the U.S.
Of course, there are sub-plots after sub-plots and the story becomes murky. I should admit here that I have watched the two earlier seasons of “Homeland.” All I can say is, “The only character I admire in the entire series is Dana Brody, Nicholas’ daughter. She wants to change her name to avoid any more embarrassment. I would want to do the same. In this third season Carrie Mathieson, who is a loose cannon, continues to disobey instructions from her CIA supervisors, her doctors, and her family.. In one episode she is shot as she is about to blow the cover on a covert operation conducted by the CIA in the D.C. area. If I had been her supervisor, I would have ordered, “Shoot her in the head!” But she is shot in the arm by a professional sniper with a professional sniper rifle, which should have blown her arm off, but instead just puts her in the hospital. Once, and only once, in this drama was it pointed out that it is illegal for the CIA to conduct operations on U.S. soil. Therefore, the officials involved in the plots of the story needed to be apprehended, prosecuted, and severely punished. Counter terrorism operations in the U.S. are a FBI matter. The CIA operatives could advise, but it could not have been a CIA op. There were a number of other lapses like this. The producers needed a good technical advisor–no one from the CIA, I am sure, would condone this nonsense. Forty years ago and more, I worked with CIA personnel and none of them were as stupid as the characters in this series. Further, from my experience the grounds of the CIA are so carefully managed—better than the White House—as it was in season two, it is virtually impossible for an unknown car packed with tons of high explosives to be parked so close to the main building . Further, and also, any supervisor of the character Carrie Mathieson, an overzealous, whiny, and bi-polar personality would and should have fired her. However, the stupid supervisors of the CIA keep calling her back to duty, knowing full well that she is going to screw it all up. In fact, she’s screwed up so much that Nicholas Brody had a very bad day at the end of the season. Carrie, against my better judgment, is appointed station chief in Istanbul. Come on! This series has gotten so bad I don’t plan to watch season four and I am glad I don’t subscribe to Showtime. 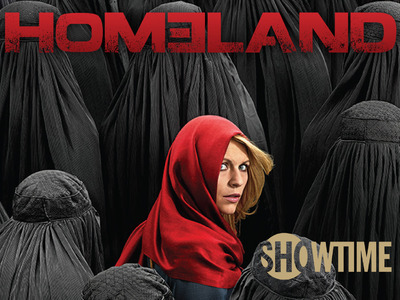 “Homeland” stars Claire Danes, Mandy Patinkin, and Damian Lewis, and is a Showtime Production.